Falling demand has forced FCA to temporarily idle production at two of its plants. In Windsor, a team of 6,000 people is responsible for making the Chrysler Pacifica and Dodge Grand Caravan. At full capacity, the plant makes almost 1,500 minivans each day, but the factory has already been shut down three times this year to adjust for inventories and due to a parts shortage. That capacity seems to be outstripping demand right now, as the rising popularity of SUVs and crossovers are clearly affecting minivan sales. In February, sales of the Pacifica dropped by 24 percent to 14,817 units in the US, whereas the Grand Caravan dipped by 27 percent, to 19,634. In the first two months of the year, the Pacifica was down 54 percent to 512 units in Canada, while the Grand Caravan saw a 20 percent decrease to 4,836. The Brampton Assembly Plant, on the other hand, builds the Dodge Charger, Dodge Challenger, and Chrysler 300. While shutting down the factory that builds FCA’s more popular cars seems surprising, demand for these models has fallen recently. 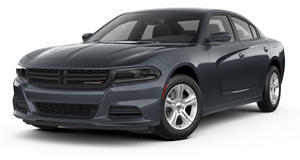 In February, Chrysler 300 sales in the US totalled 4,586, down by a whopping 32%. 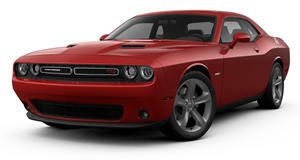 Challenger sales were also down 28% to 6,869 units, while Charger sales were down by 8% to 11,757. Let's hope the warmer weather in the coming months encourages people to buy more sports cars. FCA says regular production should resume by the end of April.